This beautiful place is owned by my aunt and uncle and I offered I would help them rent it, since they prefer to live in the countryside. I became fond of the U.S. during my year-long exchange program so I take this as an opportunity to show people from overseas how beautiful the Old world can be. I like to think that by renting this awesome place I am giving you a glimpse of how it can be to live in an old and historical city center! Privacy of a quiet courtyard combined with vibrant city center's streets just a few steps away offers unique experience of Prague's historical center. Air Conditioned Studio is located right in the center of a beautiful historical downtown area, with Old Town square just 2 minutes away. Really enjoyed our stay at this property. Lukas was very accommodating for check-in times. Property was spotless upon arrival and very comfortable for three occupants. Perfect location to travel by foot and building has great character. Would highly recommend for any small group looking for lodging in the heart of Old Town. Thank you Lukas! 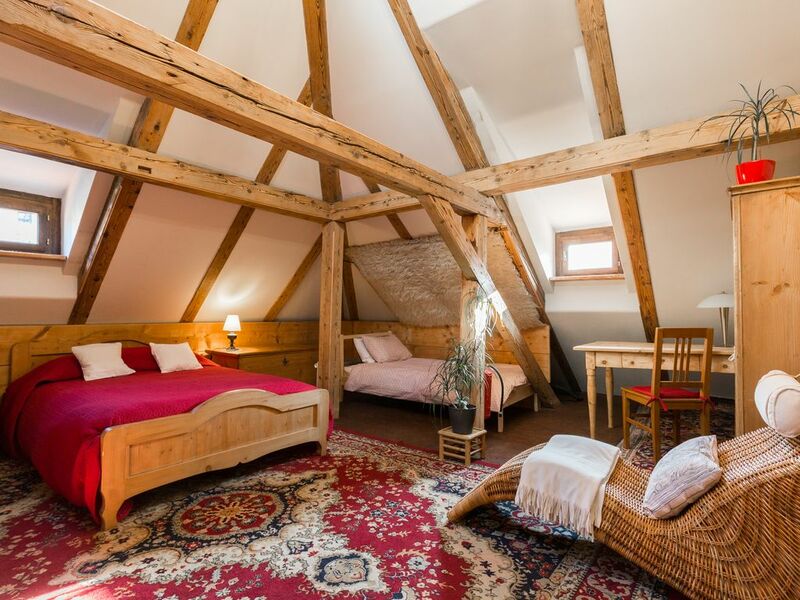 Cozy attic space in the best location! We had an amazing stay at the loft! It's definitely a smaller space but it was perfect for our needs. The host was even kind enough to let us drop off our baggage earlier than check in so we could start exploring right away! Minutes from the town square but in a very quiet location. Any time I return to Prague I hope this apartment is available. I arrived at the apartment and I was received very warmly by Lukas. The apartment was very clean and had everything you could need. In the middle of the old town you are a short walk from every point of interest. I had a very good time. Thank you. Had a wonderful time with three adults sharing this space. We were able to walk to all of the top Prague attractions, and Lukas was an amazing host. The building is quite charming and the location is exceptional. Close to the action but off on a quiet street. Highly recommend!